VPS stands for virtual private server. You can buy this at VPSServer.com, we provide full SSD powered virtual servers on a stable 40Gbit network in Miami, buy yours. VPS can be used for multiple purposed. Many of our customers are webmasters, developers and hosters. In many ways it is allot cheaper then a Dedicated Server. It consumes way less power and space, that’s one of the reasons a VPS is cheaper. You can Buy the server with different payment methods. Most used is Credit card, but PayPal and Bitcoin are also accepted. 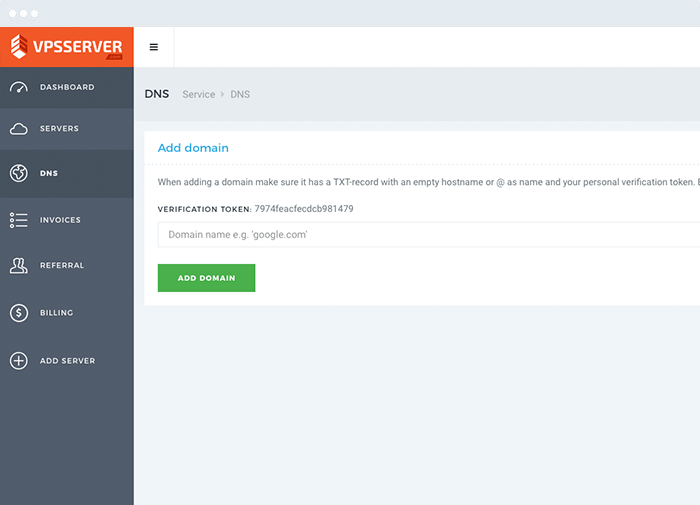 Use our DNS and manage your domain names directly from the control panel of VPSServer.com. Everything from one simple control panel is what makes our DNS very easy in use.